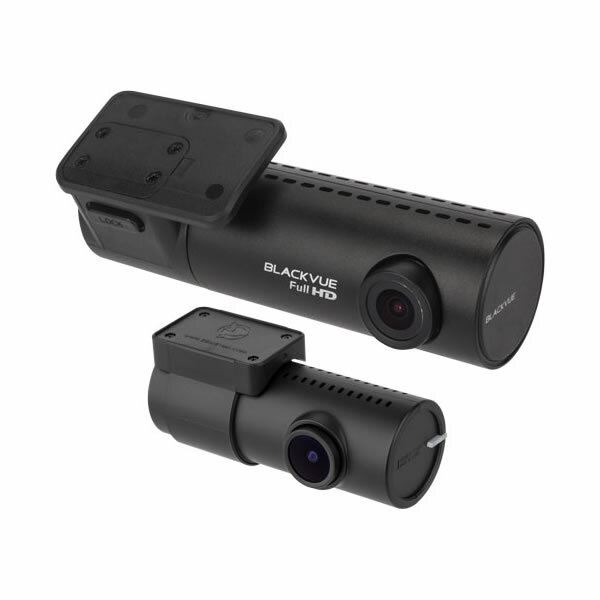 BlackVue DR590 is a leading front and rear in-car video camera for installing inside your vehicle. The BlackVue DR590 front camera records in Full HD at resolution 1920x1080 (@30fps) and the rear camera records in 1920px1080 (@30fps). The BlackVue has a parked mode that detects motion when parked and starts recording. The BlackVue has optional GPS technology which will record your vehicles speed and location (speed data can optionally be set to not to record). Included in the box is a microSD card to record your journeys onto. The power source can be between 12V and 24V. Please note: The BlackVue DR590W 2CH Wi-fi version is not available in the United Kingdom. 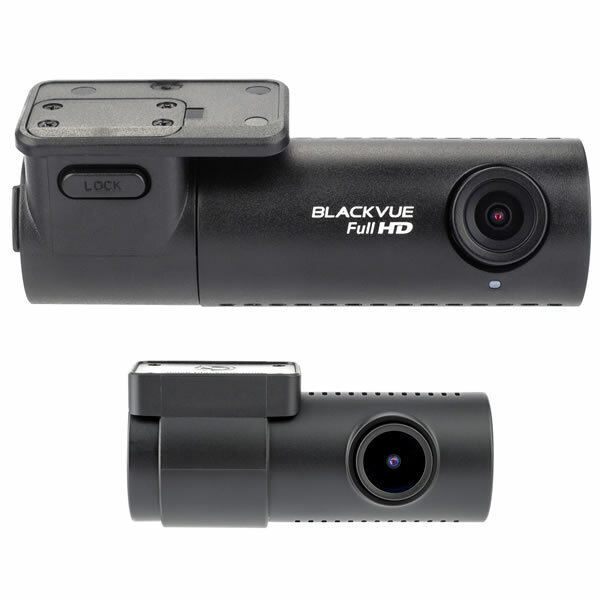 The BlackVue 590-2CH is a 2 channel dashboard camera to capture events in front and behind your vehicle. Not only can you capture video whilst driving, you can also capture video when your vehicle is parked which uses motion detection to begin recording. There is a 139 degree view angle on the front camera and 140 degree view angle on the rear camera. Optional GPS technology saves your route (GPS location and speed) which can be viewed back on a windows or mac computer (it is possible to turn off speed recording). You can view vehicle speed on the display in KPH or MPH. WiFi technology is also built in for quick transfer between the BlackVue 590 and a compatible smartphone using the free BlackVue app (Android and iOS compatible). The BlackVue is compact and slim design making it unobtrusive to you and hard to spot for potential thieves. Parked mode automatically switches to parked mode when vehicle is parked and only records to memory card when motion or impact is detected. Furthermore the video buffer will record for a few seconds leading to the triggering event so you record before the event to see the full event. The BlackVue 590-2CH is super stealthy in parked mode in that it turns off all LED indicators in Parked Mode. Only the recording LED indicator facing the interior of the vehicle will blink when motion or an impact is detected. Additional accessories for parked mode are external battery pack (power magic battery pack) for providing power to the BlackVue. If you want to hardwire the BlackVue 590 you can buy and use the power magic pro which not only provides power but also monitors power in the car battery and shuts the BlackVue down when the battery power falls below a certain level. There is a WiFi button that will turn WiFi ON/OFF with a short press. To reset the WiFi password hold until voice prompt, then short press. To format the microSD card hold the button for a long press. Do you have a question about the DR590 that's not been answered on this webpage? Please see our Dash Cam FAQ's for questions from other people. If the answer to your question isn't featured, use the online form to ask us for the answer. Alternatively please telephone 01733 777623 Monday to Friday (9:30am-5:00pm) to speak to one of our sales team. For further information online please see the BlackVue dash cam comparison table. 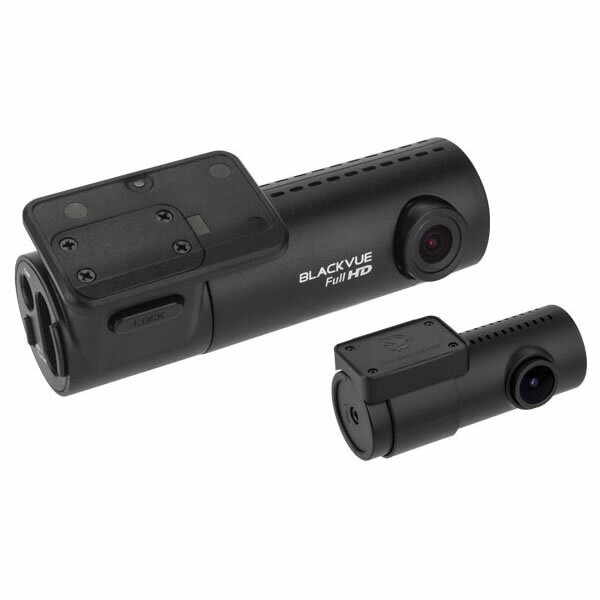 Included in the box with the Blackvue DR590 is a quick release windsceen mount and 12/24v power cable. You can use the windscreen mount to locate the DR590 on the front windscreen. Many customers choose to locate the Blackvue in the centre of the windscreen near the rear-view mirror which offers a discrete installation. The rear dashboard camera connects to the front dashcam via a connection cable which is provided. Additionally, if you'd like to hardwire the BlackVue DR590 HD dash cam into your vehicles battery, you can do so by purchasing the BlackVue Power Magic Pro electric power controller (which is sold separately). The Power Magic Pro will operate in cars, vans and other commercial vehicles with a battery power supply of either 12 volts or 24 volts. In addition, once installed the hardwire power kit enables your BlackVue dashboard camera to continue to operate even when your vehicles ignition is switched off. ‣Angle of view: The front camera has a 139 degrees diagonal viewing angle. The rear camera is 140 degree (diagonal).